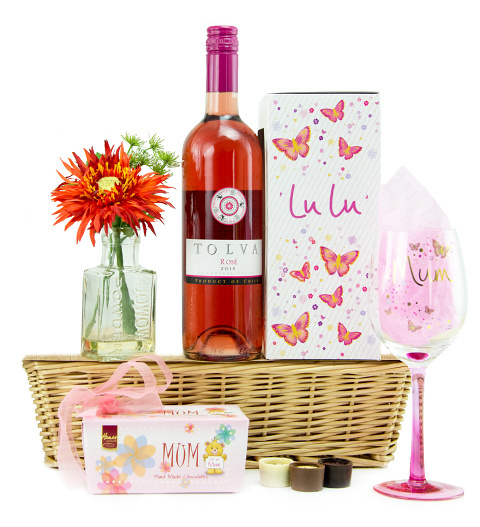 This extra special gift basket is everything Mum needs to have the most special day this Mother&apos;s Day. Send this basket to show her just how much you appreciate everything she does for you. With a delicious bottle of rose accompanied with a Mum glass so she can remember this marvellous gift. Also included are mandatory chocolates and a silk gerbera flowers in a vase, all beautifully presented in a handmade wicker basket.